It seems that today we live in the environment and times where even the thought of unlimited abundance and spiritual development seems quite unreal. Troubles in economy, global threats of this and that and just living in the basic day-to-day grind do not quite look like unlimited abundance, do they? Add to this the constant media obsession with negative news and, in general, focusing on the lack of things, businesses closing down, people losing jobs and it is no wonder that almost everyone you know is in this continuous world view of scarcity. In times like these it helps tremendously to find the way (and time) to meditate, remind yourself constantly that you can start creating unlimited abundance for yourself by opening and developing spiritually. 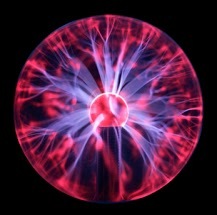 Heart center (or heart chakra) is the powerful way to get the whole process started. Christie Marie Sheldon created this great audio meditation focusing on this wonderful energy source with the idea to enable us to re-balance and ground whenever the life presents us with another challenge. Also, here is an excerpt from Ron Rosenberg's article in which he takes a look at the unlimited abundance and how to bring it out of the spiritual into this material world in your own way. The last event we participated in was the White Lake Half Ironman relay, where my friend Lisabeth did the 1.2 mile swim, I did the 56 mile bike ride, and Ron did the 13.1 mile run. As I was pedaling and watching the road ahead, I noticed a patch of the pavement where someone had written in big letters some words of encouragement. It said: Is Your Cup Half Empty or Is It Half Full? Well I screamed out to no one in particular, “My Cup's Half Full!” trying to show my unlimited optimism. But then I said to myself, “Wait a minute… neither of these choices is correct.” “Actually, my cup is OVERFLOWING!” All I need to do is keep drinking from it and I'll have everything I need. It was an eye-opening revela­tion… that there are a multitude of opportunities before me, all I need to do is actively and aggressively pursue them. This concept may be difficult for people who are living from pay­check to paycheck, who have been laid off, and who are facing finan­cial or personal difficulties. What you focus on expands. Be­fore you can do anything, you need to visualize it, create a mind's eye view of what it looks like, and then put your heart and soul into action. Every work of art, every business venture, every personal goal was generated from a single idea in the mind and that idea grew to dramat­ic proportions. Even if you're currently experi­encing hardships in your life, don't focus on your “lack,” rather think of all the limitless possibilities and opportunities you have to make money, to attract a partner, or to bring happiness into your life. You tend to be who you hang out with. That's why it's so impor­tant to choose friends, peers, and colleagues that possess a positive mindset. People who are thrilled for your successes and don't under­mine your goals. One way to move from a scarcity mentality to one of unlimited abundance is to constantly express your appre­ciation for your life – your family, friends, food, talents, health – whatever is good in your life. Create a thankful and heartfelt presence that will draw positive energy your way. To get yourself in this state of mind, you might try meditating, journal-writing, or just af­firming your unlimited abundance daily. Are you living in scarcity or unlimited abundance? Try to keep drinking from your overflowing cup. So the next time you go back to living in scarcity, or you feel stressed out, overwhelmed or not completely in-balance, it is time to re-connect to your main and the most powerful energy source – your heart center. You have to see your heart not just as a physical body organ that is in charge of pumping blood. Instead try to visualize your heart chakra as the core of your highest energy, continuously lit with golden and white light. 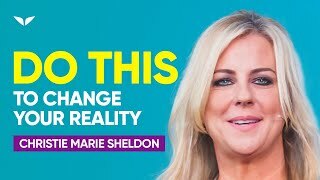 Christie Marie Sheldon Unlimited Abundance teaches us to implement this principle and approach to anything we do in life, and as simple as it sounds, it inevitably brings out the unlimited abundance we seek for ourselves. 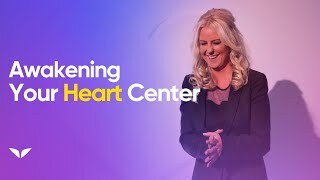 Use this Christie Marie Sheldon heart meditation to connect with your heart center and to ground yourself. By connecting to your own source of consciousness and higher awareness, the unlimited abundance will be manifested in your life. Like all great meditation techniques and applications, this Christie Marie Sheldon Unlimited Abundance heart meditation leaves us in the state of balance, calmness and restored inner energy that is perfect for dealing with the scarcity energies that might be present around us.